We understand that your goal is the safe transportation of your belongings. You don’t want your items to end up damaged or crushed. That’s why we provide you with high-quality boxes that are in good condition to make your relocation easy and safe. Our boxes have the strength to transport every item of yours. Without holes or ripped pieces, they are a sturdy and efficient way to move your belongings. Our moving boxes Staten Island are clean and dry so you can be sure your items are safe inside of them. You don’t want your belongings to be transported in the dirty boxes. 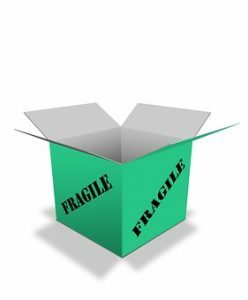 With our boxes, you don’t have to worry about damages and financial loss. Besides we provide you with the best quality of moving boxes, also we will loan you 4 wardrobe cartons for your hanging clothes at no additional charge. Moving boxes are essential to any packing. Be it storage or relocation. If you do not have good moving boxes, you cannot pack yourself properly. And, if you cannot pack yourself properly you cannot expect your relocation to be issue free. Therefore, you need to do yourself a huge favor and visit Verrazano Moving for some top quality moving boxes Staten Island. Looking for top quality moving boxes Staten Island? Then you’ve come to the right place. One thing that is most important and one thing that we can guarantee when it comes to our moving boxes is that they are of top quality. Once you purchase our boxes you can be sure that they will do their job. We’ve made sure that the cardboard used for our boxes is of the highest standard. Any mover will tell you that this is extremely important when it comes to moving and storage. Sure, you can get some subpar, lower quality moving boxes and pack your possessions in them. But, by doing so you will be risking your entire endeavor. The last thing you need is for your moving boxes to rip or fly open while being handled. 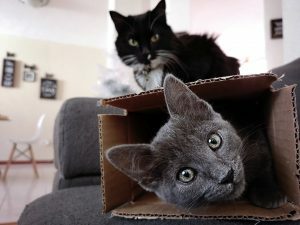 Only when you use our boxes can you be sure that this will not happen. How do we know this for a fact? Simple. We use our moving boxes on a regular basis. Whenever people call us to pack their belongings for their next relocation we only use the best quality packing supplies. That means that we have used our moving boxes for pretty much any type of relocation that you can think of. From residential to commercial. From local to long distance. Whatever the requirement was, our boxes came through. Even trough bad weather and unfavorable conditions, our boxes remained safe and sturdy. Therefore, you should use our professional experience, not only to help yourself relocate but to also know that when it comes to moving boxes Staten Island, VerrazanoMoving knows what is right. 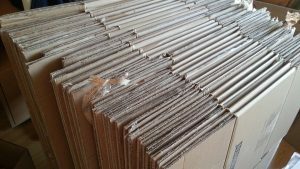 Our moving boxes are made out of a type of cardboard that has been successfully tested in many difficult situations. Deciding whether it is more eco-friendly to use plastic boxes or cardboard ones we will leave to you. But, what we can do is to assure you that our boxes are made out of recyclable material. We encourage all of our clients to make their relocations as eco-friendly as possible. And a good way to do so is to either reuse moving boxes or recycle them. In order to make the most out of moving boxes Staten Island, you need to know how to use them properly. Now, this may seem like a straightforward thing, but we see people fail in it constantly. Moving boxes are a tool and, as it is with every tool, there is the proper way to use them and many improper ones. 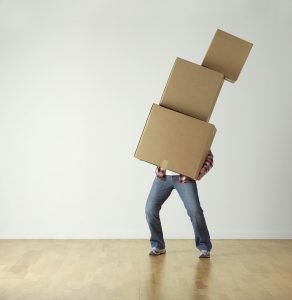 There are a couple of things that you need to keep in mind when getting moving boxes Staten Island for relocation purposes. First, you need to make a list of all of your possessions so that you know how much you actually need. We don’t mind selling your boxes in multiple turns. But, we hate seeing people wasting time by not preparing properly. Also, make sure that you get properly sized boxes. 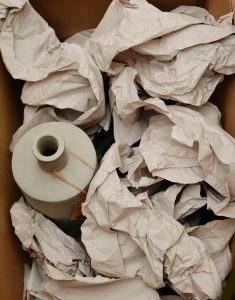 Not every item belongs in every box, and you need to think long and hard about how you are going to pack your possessions. The box you choose needs to be able to contain both the item and the padding and wrapping materials. Furthermore, the wrapped items need to fit in comfortably in the box. It shouldn’t be too lose more too tight. Your moving box needs to be big enough to fit both the item and the padding and wrapping materials. When using our boxes for storage keep in mind that cardboard is not meant for multiple uses. If you plan on packing your possessions, putting them into storage and pulling them out after a while, our boxes will do the trick. Even if you plan on storing your possessions for a long time. If you use our boxes and you pack properly, you can rest assured that your items will remain intact. Depending on how gentle you are and how good you treat our boxes, they might last you for years and even decades. But, we advise you to be extra careful when using them multiple times. Even though they are safe and sturdy they are still made out of cardboard. And, as every material, cardboard has its limits. If you simply go online you will see just how many creative ways there are to use moving boxes Staten Island. Sure, you can use them to pack your everyday items together. But, you can create beautiful figures and even make certain crafty objects that can make your life easier. And, as you will need quality cardboard in order for your creations to last, you can be sure that you’ve come to the right place. Only with Verrazano Moving can you rest assured that the boxes you get and the cardboard you use will be top quality. There are many ways in which you can use cardboard boxes. Your only limit is your imagination.